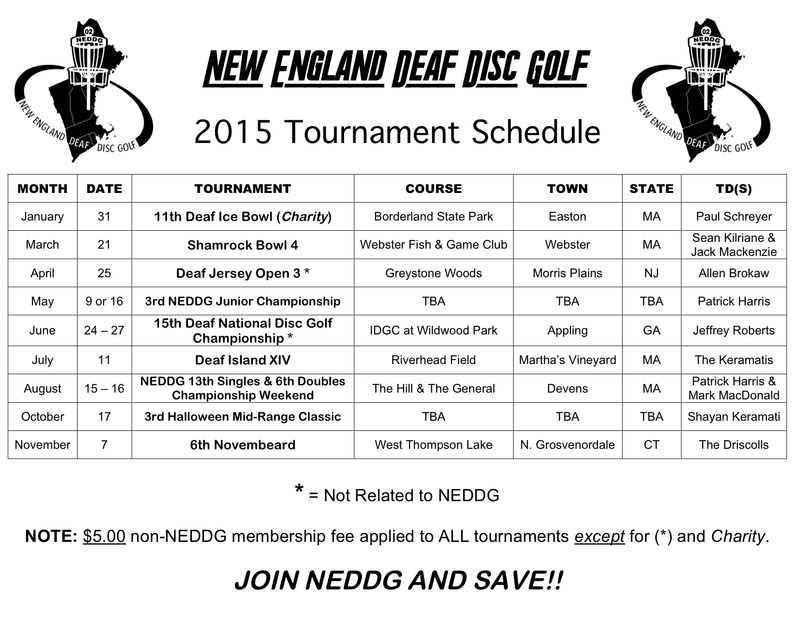 Note: $5 Non- NEDDG member fee applies to all NEDDG Tournament except for Charity and Junior. 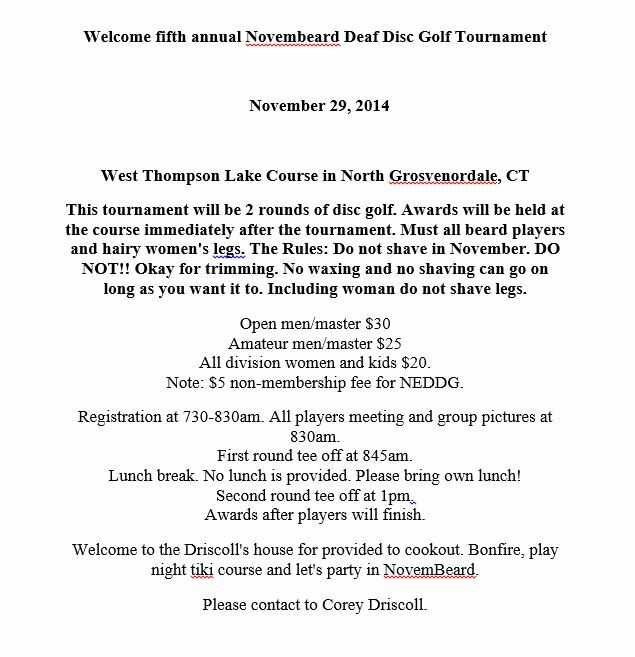 Join NEDDG as new member for $25. 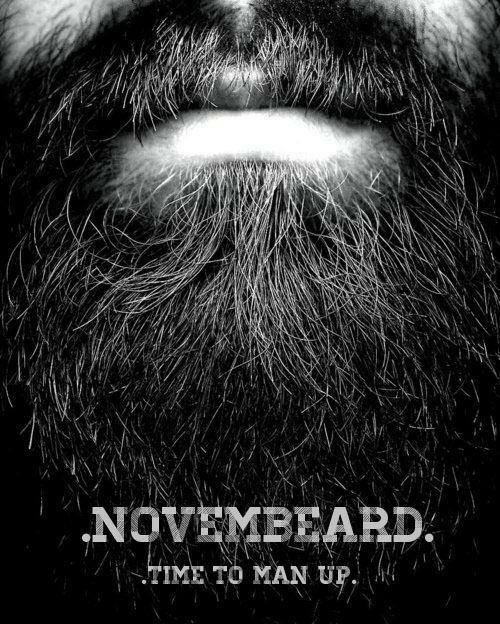 Renew for $15. 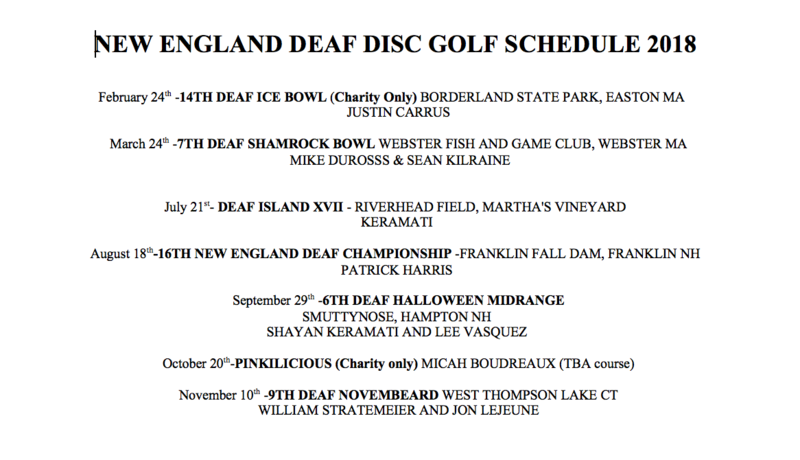 DATE CHANGE FOR DEAF ICE BOWL!! 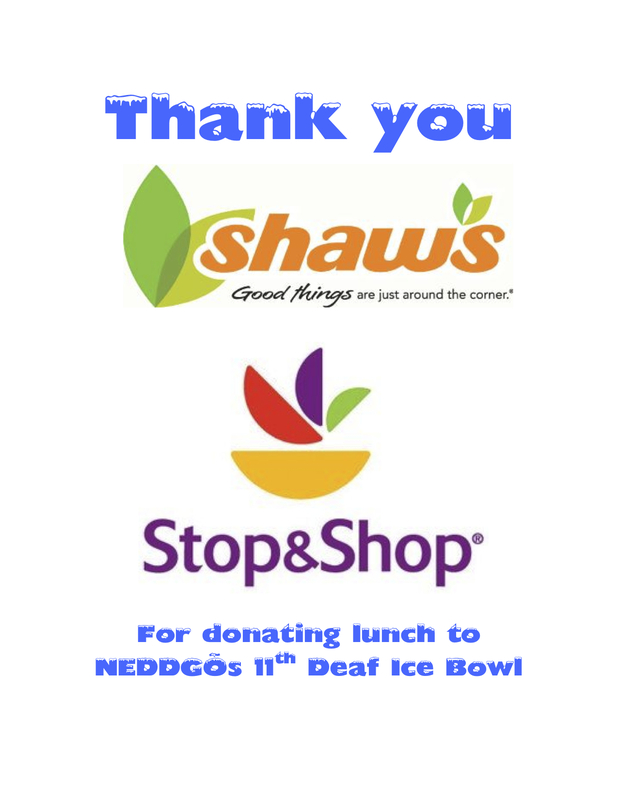 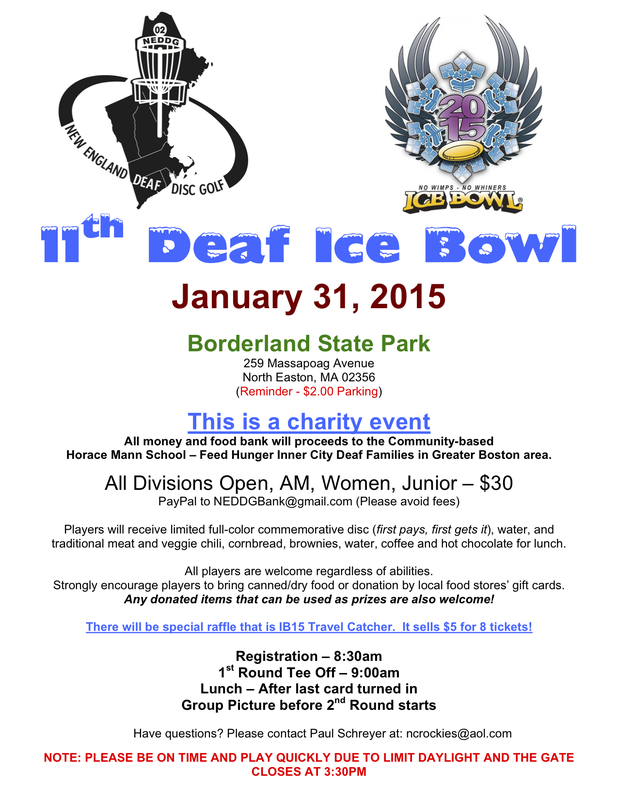 The 12th Deaf Ice Bowl’s date has been moved to February 13th. 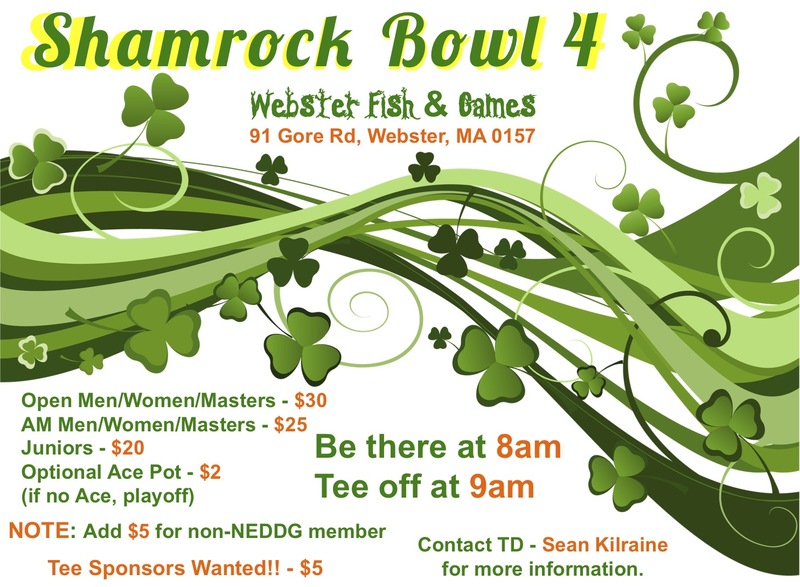 Go to Facebook Event page for more information or contact Paul Schreyer. 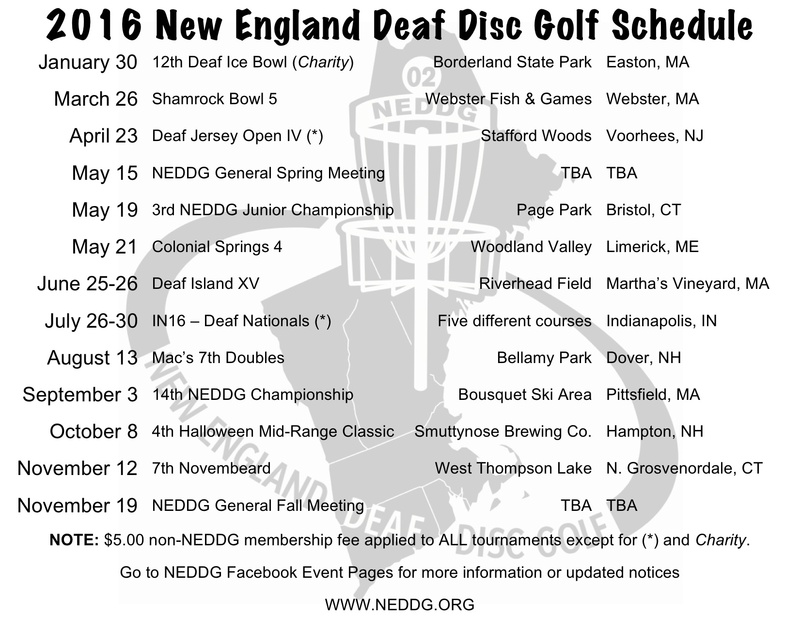 Welcome and Please mark your calendar for 2016 NEDDG’s events.